Click the grey tab on the left-hand side labeled “Social Media & Connections”. 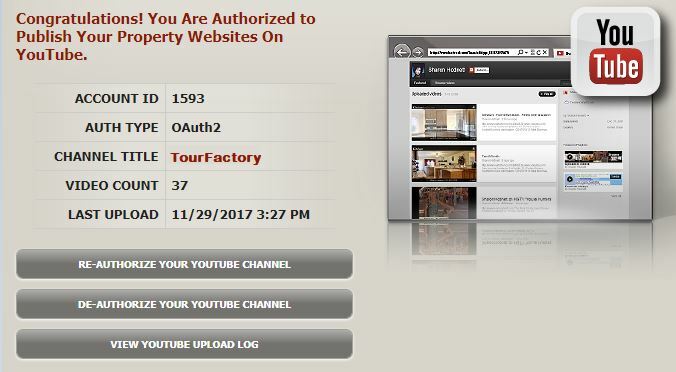 In the “YouTube” section, click the grey button labeled “Authorize TourFactory to Upload to Your Channel”. You will be directed to a Google account settings page, click the “Grant access” button. Note: If you are not already logged into your YouTube account, you will first be directed to log in. 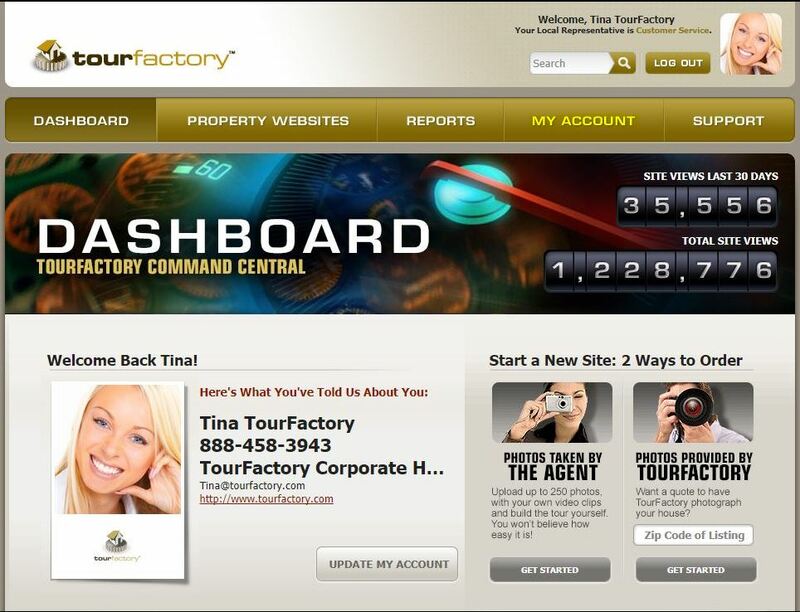 Your TourFactory YouTube status will now display “Congratulations!”. Note: You must already have a YouTube channel for us to be able to post your property videos. 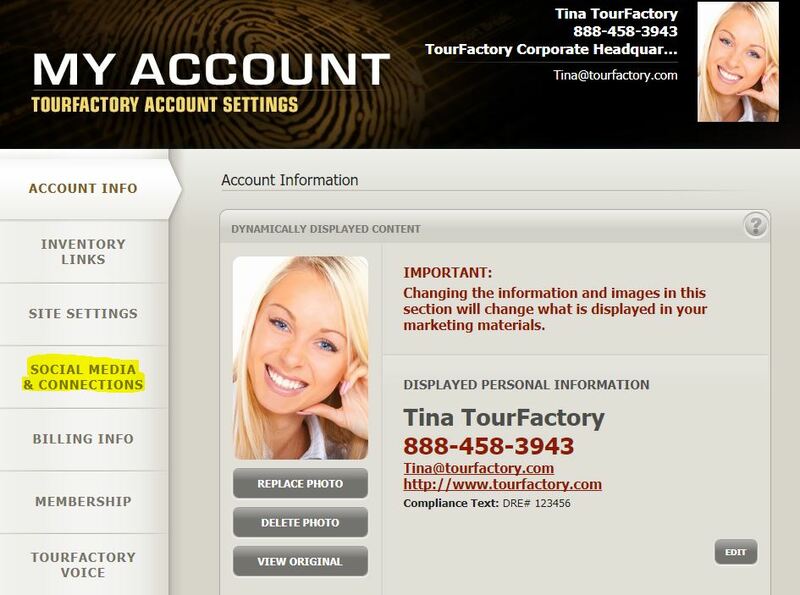 If you do not have a YouTube channel your videos will be uploaded to our generic TourFactory channel. Need help creating a YouTube account and channel?